With the new iPhone 8 and iPhone X releases, loyal iPhone users know they can expect one more thing… a software update! Introducing iOS 11. On the surface it might seem like an insignificant update, I mean, everything looks pretty much the same. If you’ve already downloaded the update there are a few differences that you may have noticed like: updated app icons, and app store, those large headings in apps like Mail and Messages (we’re not blind, Apple! ), and redesigned Control Center. But none of those changes are really anything to get excited about. 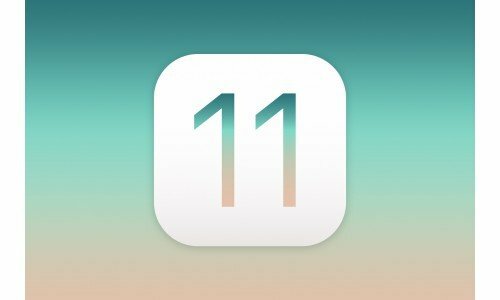 So what are some of the stand-out features in iOS 11? Why should you bother updating? Here are few tips, tricks, and features that make Apple’s latest software update stand out! One of the first things you probably noticed was the design change to the Control Center when you swipe up on the home screen. Well, it’s not just the layout that has changed. You can now customize the shortcuts that show! Here you’ll be able to add some of your favorite shortcuts, delete the ones that you never use, and rearrange the layout. When you take a screenshot you’ll see a little preview pop up in the bottom left corner of your iPhone, here you’ll be able to click on the image to edit it right away! No more navigating to your photos to see it. Plus, we’ve got some new editing features. When you click on the little plus button to the right of the drawing tools you’ll see some options such as: text, magnify, and the option to add a signature! Your camera will open up for you ready to begin. When you hold your phone over the document you’d like to scan your camera should highlight it with a yellow box. If the yellow box doesn’t show up, no worries, it will still work! Snap your photo and you’ll have the option to select and crop the document outline. When you’re finished, you can either save it in your notes, or hit the button in the upper right corner of your screen to send it as an email, text, or do whatever you’d like with it! Hello, convenience! Buh-bye crappy third-party QR scanner apps! Simply open your camera, center any QR code on the screen, and you’ll get a notification prompting you to take whatever action is needed: open the website, add contact info to your phone, etc. Seriously, why wasn’t the feature added years ago?! Something we hope you’ll never need, but iOS 11 now includes a way to send an emergency SOS. When this feature is enabled, you can press the lock screen (power) button 5 times in a row to start a call to 911. In addition, you can set up the option to send a text to emergency contacts with location updates. You might try not to look at your phones while driving—especially if you live in a state where it’s illegal—but those notifications can make it tempting! But now, you can eliminate that temptation with Apple’s newest Do Not Disturb feature: Do Not Disturb While Driving. Manually: uses the Do Not Disturb option in your Control Center. Automatically: determines when you’re diving by motion detection. Bluetooth: activated when your phone is connected to an in-car bluetooth system. Do Not Disturb While Driving follows the same rules you have set up all other Do Not Disturb settings. You can choose who (if anyone) to allow phone calls from and send an auto-reply to text messages you receive. If your phone is connected to Bluetooth in a vehicle that allows you to accept phone calls, your calls will not be silenced and will still go through to your vehicle! What Do You Think of iOS 11? Are there still features you’re waiting on Apple to add or are you already in love? Let us know in the comments what you’d like to see in the future iOS 12!